In this section you will find more information about our products regarding orthotics and bandages, orthotic components, textiles, materials and tools. Within the sections, the products are subdivided based on body area or product type. 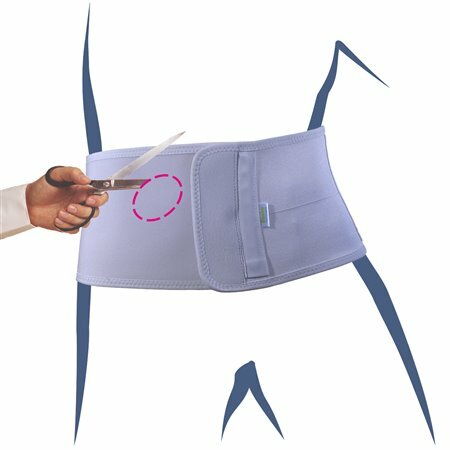 Intended use: postoperative to support the abdominal wall and preventive against prolapse / hernia. Application: individual ajustable/irrigation-system or after recolating the stoma.